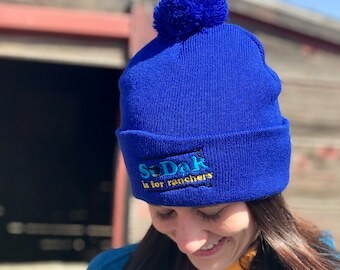 SoDak is for Ranchers! 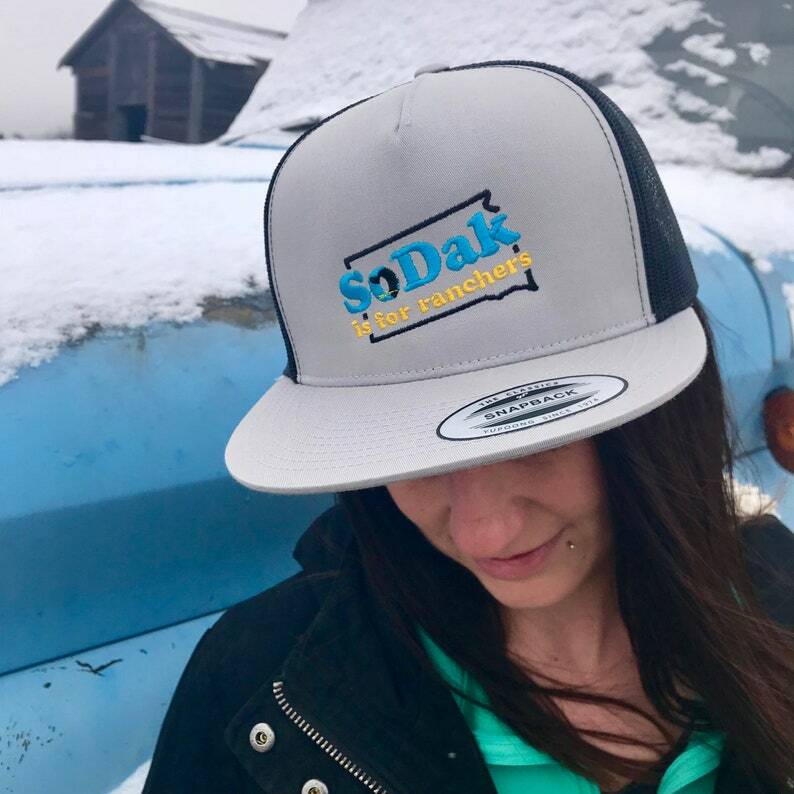 Show your love for South Dakota and ranchers with this fun retro gray and black embroidered flat bill trucker hat. 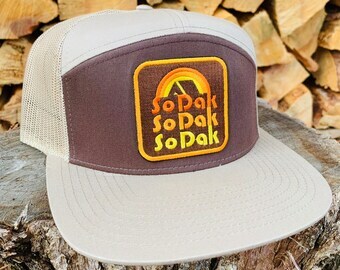 The cap embroidery features the text "SoDak is for Ranchers" along with the state outline and an illustration of a cow chewing on wheat in the "o" of SoDak text. The embroidered hat is a high quality Yupoong five panel flat bill hat with an adjustable snapback. The hat has a gray bill and front with a black mesh back. One size fits most.